As Winston Churchill once said “courage is what it takes to stand up and speak; it is also what it takes to sit down and listen”. There is a proverb that says; he that greets the deaf does not greet because he expect response from the deaf but only greets so that God will bear him witness. In line with this proverb, we have been criticising Nana Akufo-Addo and we were warned of the severe consequences of choosing Akufo Addo as the President of Ghana. And we did this before the “All-die be-die” dictator was smuggled into the Jubilee House as the President of this peaceful country and we are still doing same thereafter, not because we expect Nana Akufo-Addo to mend his ways, but we are doing it for record purposes and for God to bear us witness. The children of Israel at a point, ignored God’s warning and spiritual directions, preferred to have an earthly King to rule over them and had to bear the brunt of their choice. The consequences of their intransigence and indiscretion stretched over time and eventually led what we all know [,the story of Saul] and the eventual division of the Kingdom. In 2016, Ghanaians made same mistake by choosing Akufo Addo over John Mahama and cannot run away from the consequences of their indiscretion. What will be be will be, period!. So you see that life is about choices – but the good thing about life is that it is fair and gracious enough to have granted us the right of choice. We were not compelled, we chose Akufo-Addo freely and must quietly endure the consequences. For every choice made there is always at least an alternative and there are consequences. Jehovah, the Almighty and all knowing says in the book of Isaiah that he created good and evil, He created light and darkness. I trust he could not have created anything that is useless. Akufo Addo is here to muddle up everything in Ghana, to expose and promote everything evil in Ghana, to drive us to the edge, to inflict hardship on Ghanaians, to set us against each other for political advantage, to destroy the peace and unity we’ve enjoyed over the years and to politicise and destroy our state institutions of the police, National security, army, the legislature, the judiciary etc. How then can one say Akufo -Addo is incompetent? The man is competently destroying everything Ghana including our common values, achievements and institutions. The man is here to quicken either the destruction or disintegration of Ghana. Like Jehu, he is riding his chariot rough and furious. The way things are falling apart in Ghana these few months and with the wantonness Akufo Addo is carrying on like mercenary, it seems he is carelessly in a hurry to execute and finish up with his task. Akufo-Addo has put down his signature and there is nothing more to expect from him. He is not a leader but a small distance racer and his thinking ability very small. As a destroyer he does not need to be constructive and focused, those are qualities of builders like John Mahama, Paul Kigame, Uhuru…Akufo-Addo is not a builder, he is a destroyer and he exhibits extreme competence when destroying inherited legacies. Ghanaians should begin to worry and plan for post Akufo Addo era which will come soon. Akufo Addo has awakened the dormant forces in us and there are heightened agitations everywhere in the length and breadth, height and depth of Ghana. The octaves of the momentum of the respective forces are approaching some disturbing and dangerous dimension. Today, Ghana has no national government, no institutions which are supposed to be the strength of our National unity. Everything is being commandeered by Akufo Addo and his family members. Akufo-Addo, the pyromaniac, has set fire on everything and there is fire everywhere. It is from the ashes thereof we must raise a new Ghana or we go separate ways. Ghana is desperately in need of another Mills, Nkrumah, Rawlings or Mahama. We need humane, intelligent, patriotic, incorruptible and benevolent national leader. A strange spirit of insanity suddenly bewitched many Ghanaians including pastors, security personnel, intellectuals , nurses, teachers, students etc and they stubbornly and blindly preferred Akufo Addo an incompetent, clueless, destroyer, a bigot, a cheat and conman, tyrant and one of the worst enemies of the Ghanaian state. 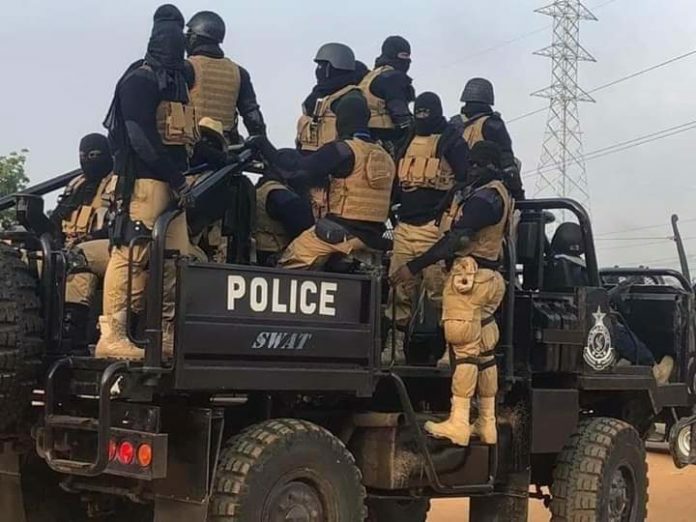 I just finished watching videos of the Ayawaso West Wuogon.and Salaga incidents and I asked myself; What wrong have we committed to deserve what we going through under this president???. Journalists are being killed, prominent Ghanaians are being murdered across the country, children are being kidnapped, properties are being destroyed, hoodlums operating under the guise of National security unleash terror on innocent citizens, Ghanaians are being sacked from state institutions because of their political inclinations etc etc. Apart from these ordeals, the economic situation of the Ghanaian worsens everyday. The cedi is still kissing the floor, petrol and diesel prices are at a historic high, banks, businesses are folding up because of profit margin erosion. Much of what the Akufo Addo government is all about has turned out to be lies and empty gestures. 2020 is another golden opportunity, we must accept it as our own and grab it with both hands. It is time to talk tough and apply the boot for boot phenomenon and we must do that very authoritatively. Never mind Akufo Addo and his hoodlums because the are spineless twerps. They cannot withstand the force of the collective will of Ghanaians.